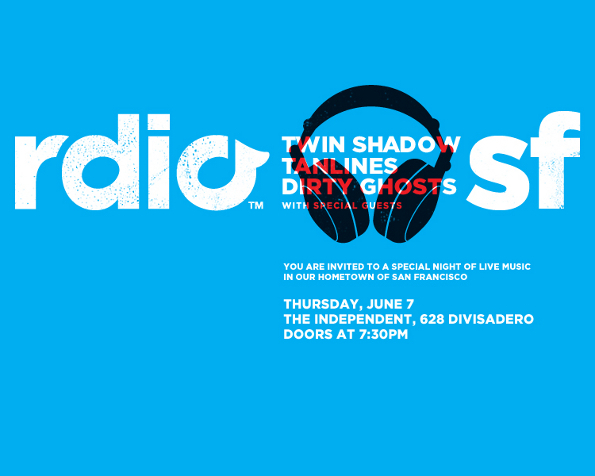 On June 7th, Rdio is hosting a special night of live music at The Independent in their hometown of San Francisco. While this is a private party, we have a limited number of tickets for a few of our lucky Bay Area readers. Here’s your chance to win a pair of tickets to this exclusive show. For a chance to win a pair of tickets to attend this private Rdio party and see Tanlines, Twin Shadow, and Dirty Ghosts perform live, post any SF and/or music related Instagram photo tagging @theowlmag and @Rdio using the hashtag #rdioparty. Yes, it’s that easy. This is not just any private party; this party is all about two of our favorite things: SF and the music!